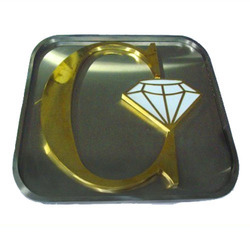 We are one of the leading manufacturers and suppliers of a wide range of Steel and Brass Letters that are made using quality grades of brass and steel. Offering a variety of letters, we ensure that these stand high on quality parameters. These are available in different sizes and are clear coated to avoid tarnish. 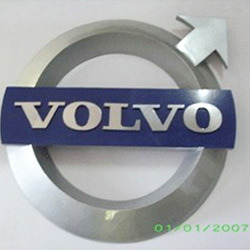 Know for durability and qualitative finish, these letters are available at industry leading prices. We offer a qualitative assortment of Stainless Steel Sheet Letter that are made using stainless sheets as basic material of construction. Our range of letters is available in different elegant designs and shapes and ensures complete durability. The large variety that we offer, is used across several interiors, offices and building where the identity name is to be given. 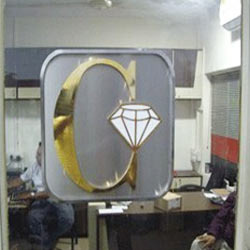 The Brass Letter that we offer to our clients are widely known for its durability and mirror finish polish. These are available in different fonts and styles that make it very popular amongst our clients. Very ideal for external as well as internal abode application both in name plates or signage, these are fine polished and offered in customized sizes. Features: Corrosion Resistance Rustic and uptown finish Lasts a lifetime outdoor Fine Polish Resistant to Tarnish Customized Sizes Life time guarantee We are mainly looking for enquiry from Australia . The Colorful Steel Letter that we manufacture are designed in stylish fonts using premium quality of steel as the basic material of constructions. Their availability in stylish fonts makes them one of the preferred choices for interior as well as exterior signage. Our clients can avail our range of steel letters in choice of finish and polish in customized sizes as per their requirement at best industry prices.